Pinterest loves new content from creators because creators like you make Pinterest what it is. In fact, there are 1.5 million businesses on Pinterest and over 175 billion Pins! This is up 75% from last year (according to Pinterest). It’s safe to say that, without you as a creator and business owner, Pinterest wouldn’t be worthwhile for anyone who uses it. The more new content Pinterest receives, the more users want to come to the platform. So, it’s no wonder that Pinterest wants to encourage you to create new content. The fresher the content, the better, for Pinterest, Pinners, and you. But, with 1.5 million businesses to compete with for attention, then you should probably have new and fresh content being published a lot – if not daily. Right? Uh, Maybe it would be smart to start creating a new blog post every day in order to succeed on Pinterest? Sure, fresh content published on Pinterest means love from Pinterest, which means new eyes on your content, traffic, subscribers, sales, and standing out among millions of others. Ugh! A new blog posts and content every day sounds simply exhausting. But don’t fret, because creating new blog posts for Pinterest is not necessary at all! Does that make more sense? Whether you start with 1 blog post or 10, the idea is the same. 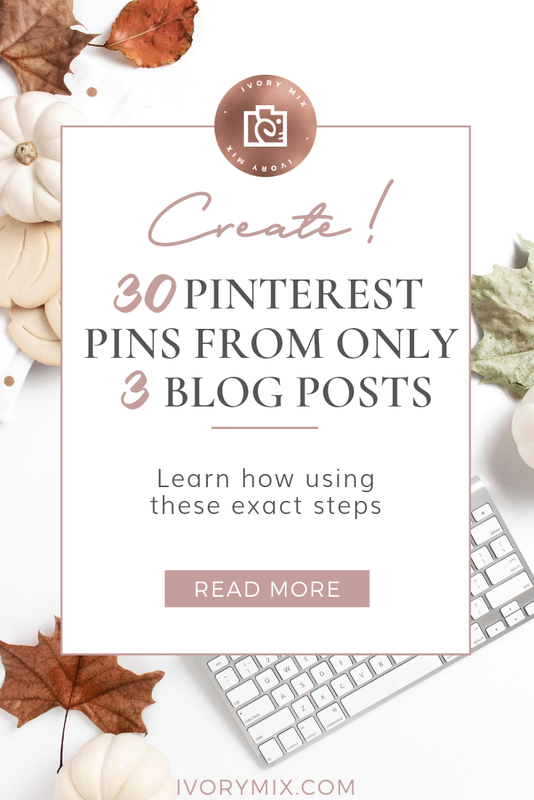 Create more pins! Let’s do this together step-by-step. Whether you are new on Pinterest for your business or have been there for years, this tip applies to everyone. 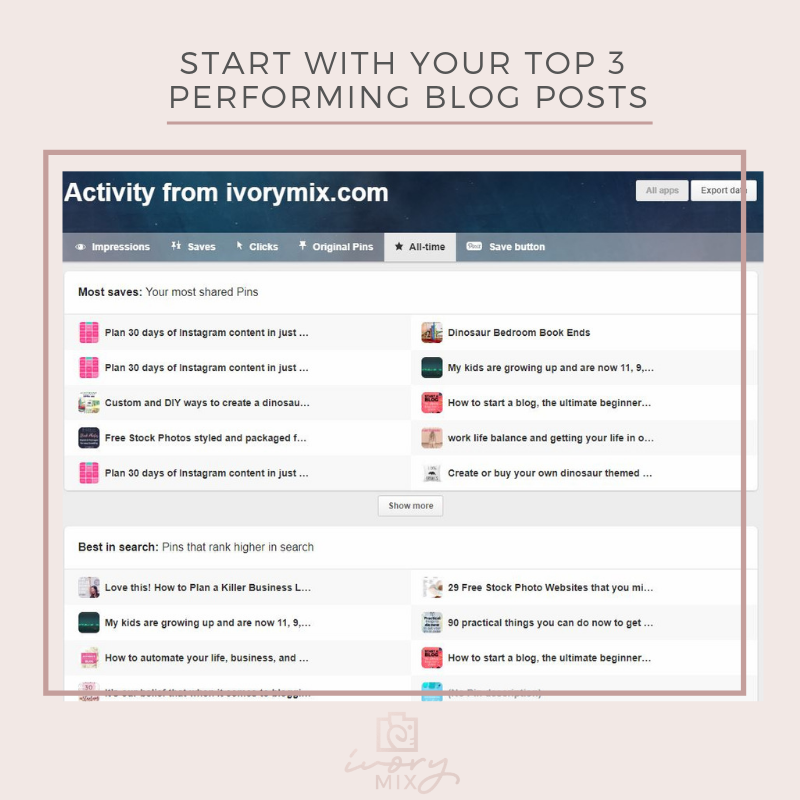 To implement this, start with your best 3 performing blog posts. You can identify which blog posts are the best by a few simple statistics. Head to your Google analytics and your Pinterest analytics to choose three blog post that gets the most visits from Google or Pinterest. It really helps if these blog posts are aligned with your business goals and your purpose. 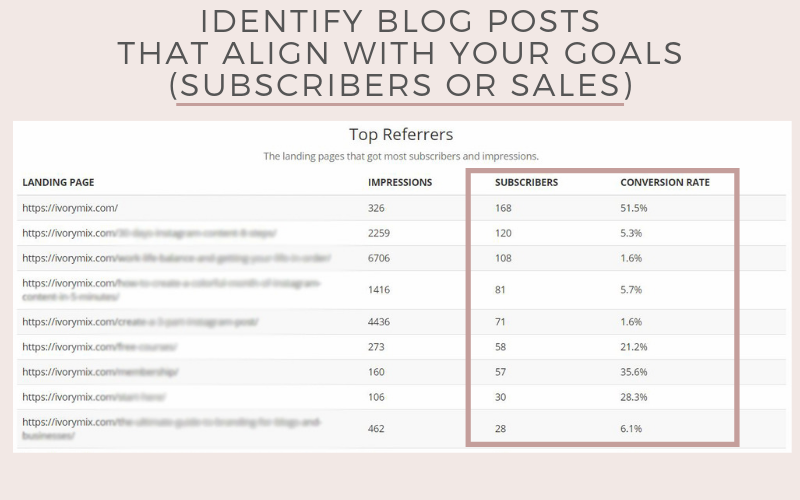 You can also choose your best performing blog posts based off of other statistics, like most subscribers, instead of most views. I use ConvertKit to manage my subscribers and have also used Mailmunch for many years to create forms and track analytics around on the blog posts and pages that those forms are assigned to. You want to bring in subscribers and sales, so make sure whatever blog posts you choose, that they are optimized with subscription forms and compelling copy that helps you reach your goals. 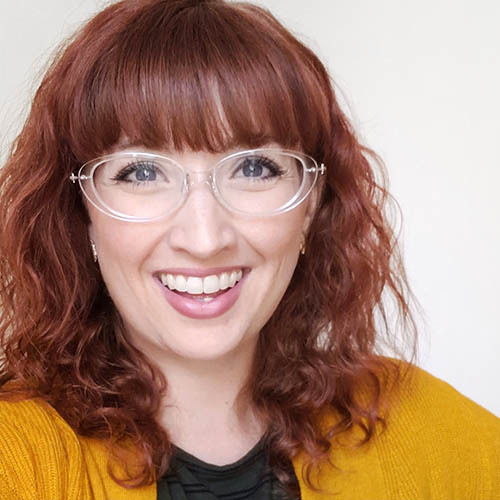 If you’re not sure how to do that, I would love to have you join me in this Workshop on 3 content tweaks to grow your traffic, subscribers, and scale. Not all pins on Pinterest are created equal. There are short ones, and tall ones, pins with a lot of text, and pins with no text at all. By choosing two headlines, you’re identifying words and ideas that have the best opportunity to resonate with your target audience. 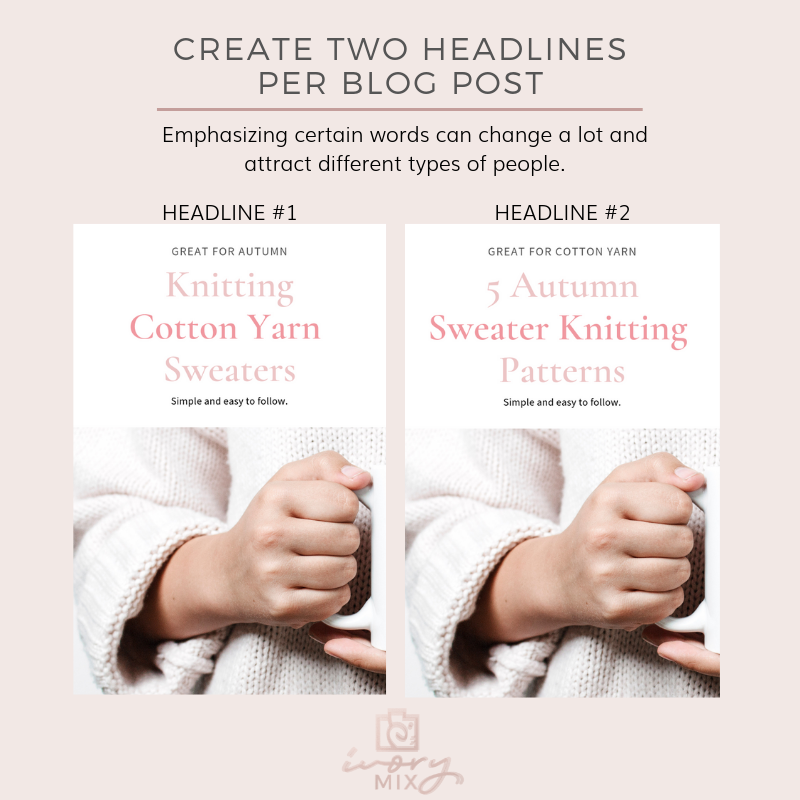 Once you identify some of the words and phrases that may trigger your audience to click, this is the time to start brainstorming headline ideas. Headline #1: 5 Autumn sweater knitting patterns for knitters who love using cotton yarn. As you can see, these headline examples are nearly identical statements but one is shorter and one is longer. They really come to life when you put them on your new pin designs and can emphasize certain words. At this point, we have 3 blog posts and 2 headlines for each, which already brings us to a potential of 6 pins. This next step is going to take 6 pins and turn them into 30! Despite being a photoshop and adobe creative suite user, I typically create my pins in Canva. 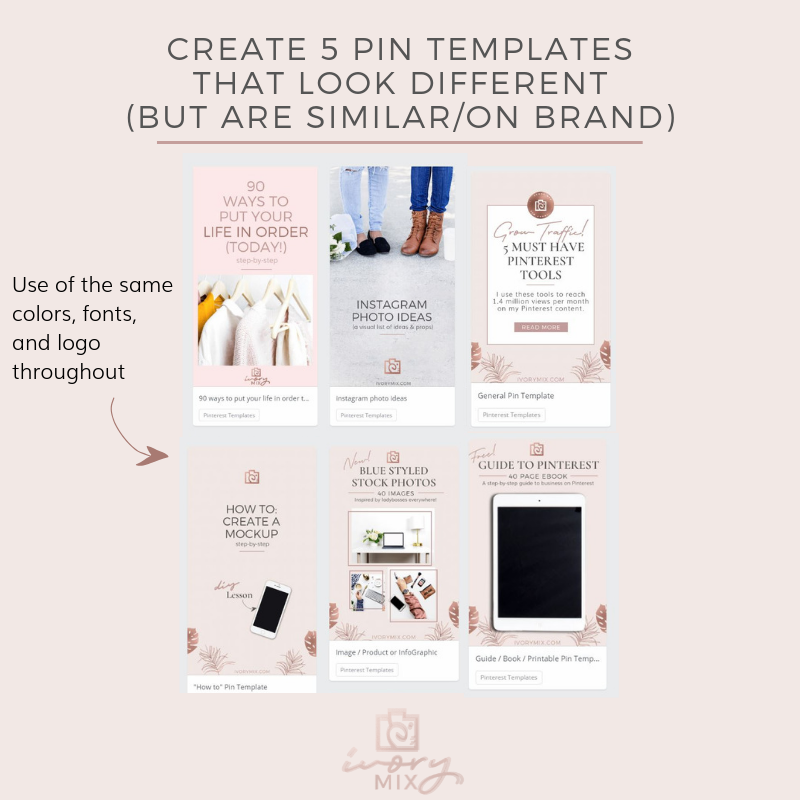 I do this to save time because, in Canva, I can start with their pre-made pin designs, modify them to suit my needs, and even save them as templates for my future use. I’m a creative person, but having premade designs to nudge me along is always helpful! I recommend that you stick with the same fonts and colors so that your pins are recognizable. Being recognized is all part of the plan because the one goal you should aim for is that once you have a fan and follower, the hope is they’ll click on and save your new pins to read now or later as they come upon their Pinterest dashboard. Here are a few examples of the pin designs I currently use and cycle through. 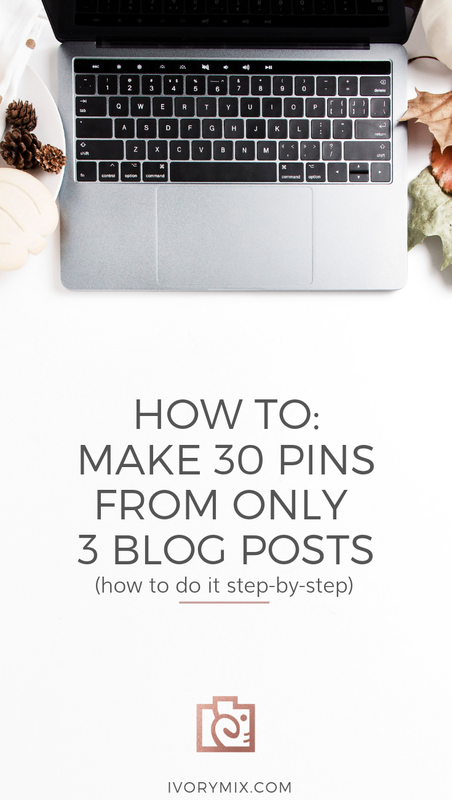 Now that you’ve gone through steps 1-3, you should have 3 blog posts, with 2 headlines, on 5 pin designs – which gives you 30 new pins! This is the final step. 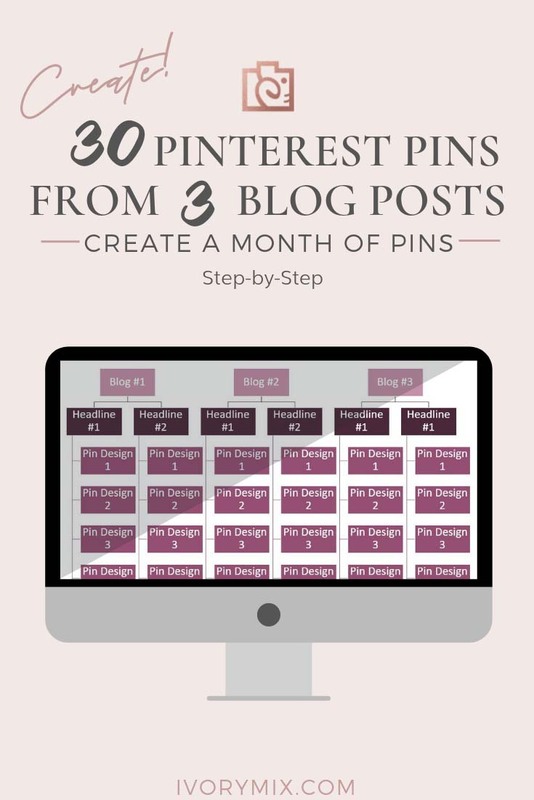 It’s time to share and schedule your 30 new pins to Pinterest. 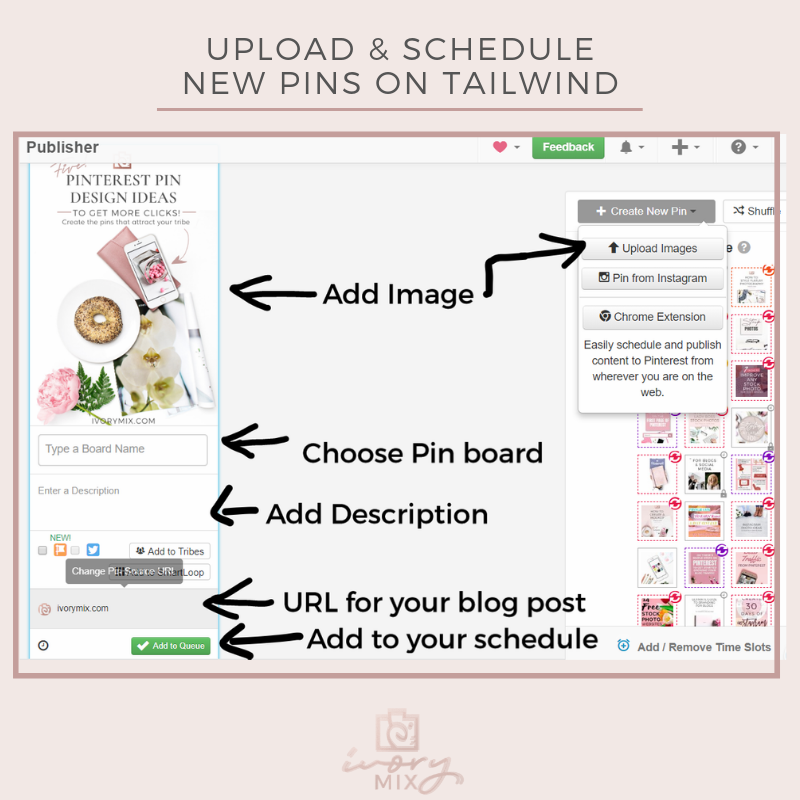 But first, you need to decide if you’re going to publish the pins directly to Pinterest, Schedule them on Tailwind, or add the pins to your blog posts first and then, go share them to Pinterest or schedule them on Tailwind. 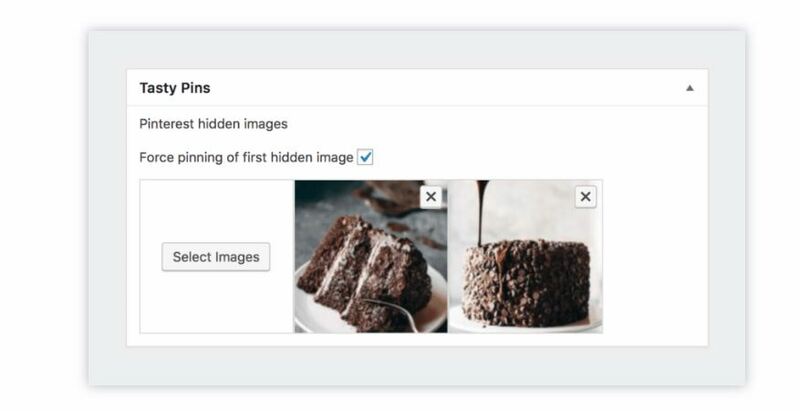 To add all of your pins to your blog posts without cluttering up your articles, you are going to want to use a plugin called TastyPins. 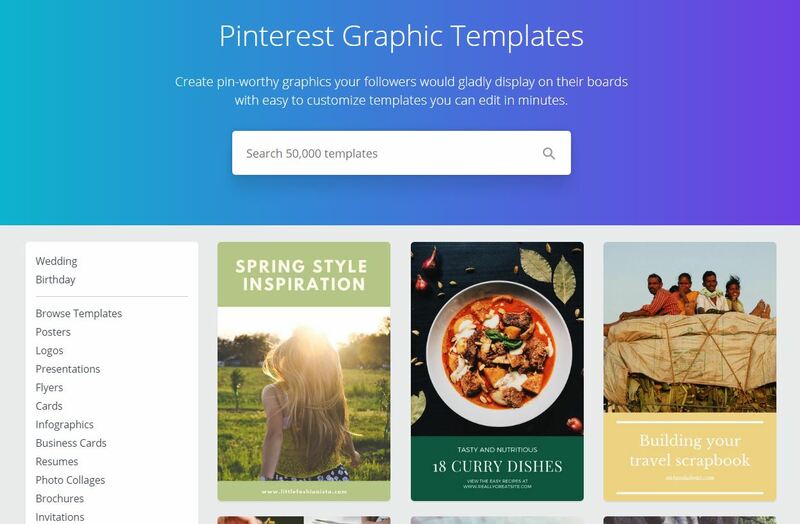 This plugin helps you add hidden pins and add long descriptions specific for Pinterest. There are a number of other cool features specific to Pinterest. click here to learn more about TastyPins. You can also use a simple HTML code in your text editor to add Pinterest specific hidden images. This is an alternative to Tastypins. I’ve outlined how to do that here. 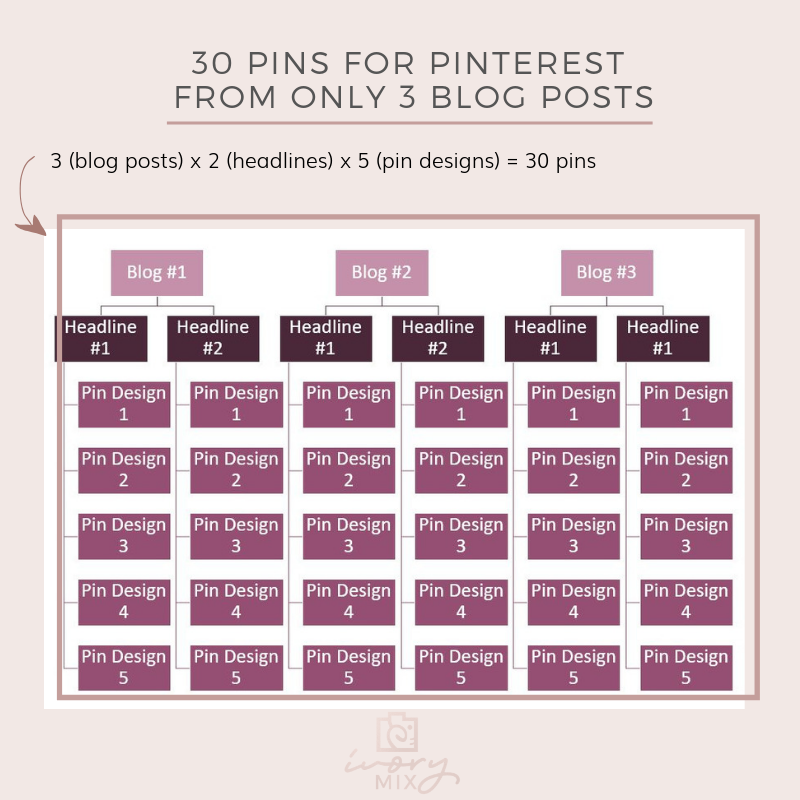 Doing this helps you add all of your new pins to your blog posts and make them shareable from your website by yourself or visitors. If you want to skip adding them to your blog post, you may just want to share your new pins straight to Pinterest using their add a new pin (the red plus symbol seen below). 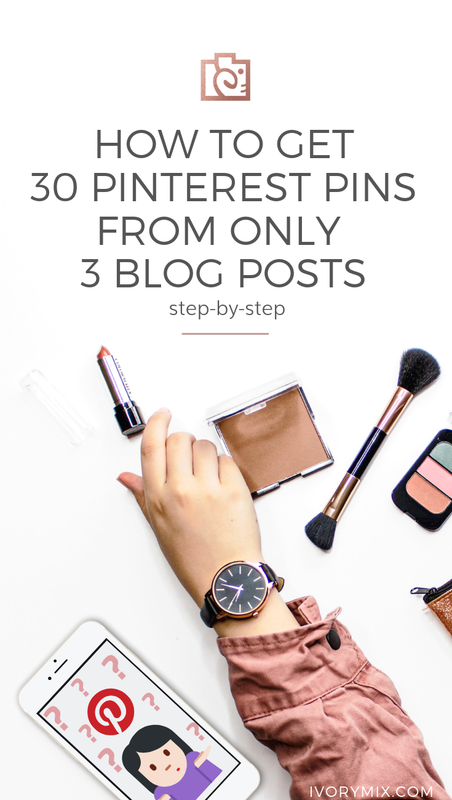 To do this manually is pretty simple, but without a scheduling tool like Tailwind, you would have to pin each of them manually every day to your Pinterest if you want to share one new pin every day for 30 days. Instead of manually pinning these every day for 30 days, you’re probably better off to schedule them through a tool like Tailwind. I personally use and recommend scheduling these new pins on intervals (1 a day over 30 days) to the new boards that you want them saved to. Here’s a tutorial for how to share pins on Tailwind using Intervals. Before you head off stressed that you have to sit down and create new pin designs, I want to share with you my top 5 places for getting pre-made pin templates. We’re not all graphic designers which is why I know that that last step may be the hardest. But, it doesn’t have to be. We all want to make scroll-stopping pins but we don’t all know how. That’s why I recommend you put these resources and Pinterest templates to work, and make something stunning, without the extra time and head scratching. One of the things I specialize in is creating stunning images for Pinterest. I leave space for text and design and style photos specifically for use on this powerful platform. I do this because I have seen the results it brings to our business and I want you to have the same results too. 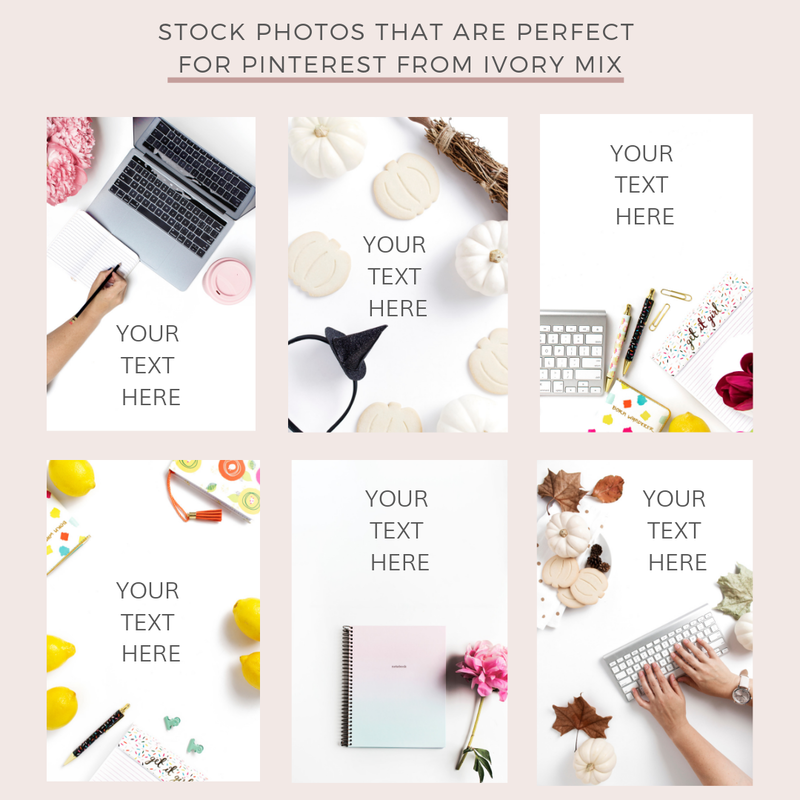 You can grab the perfect Pinterest pin designed stock photos in our Free Stock Photo Library of over 350 photos or you can grab any of the 2500 photos in our VIP membership. Canva is Free, so… why haven’t you signed up yet? They make easy to customize templates you can edit in minutes and did I mention it’s free? Click here to try Canva. The reason Picmonkey is amazing is that they have a photo editor made for people who want some pro tools but don’t want to invest the time to learn something like photoshop. Plus, Picmonkey templates are a gold mine of professionally crafted designs that you can easily customize. So, if you’re in the market for a pin design template playground AND a pretty powerful photo editor – then I highly recommend Picmonkey. Click here to browse and get Pinterest-perfect designs with PicMonkey. Find more than 110 Pinterest graphics to make your boards shareable and eye-catching. 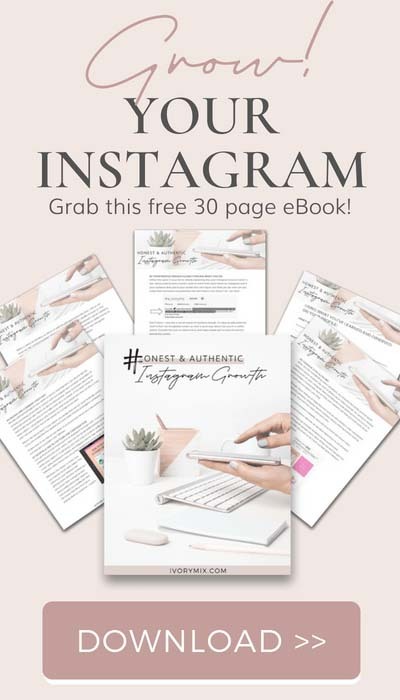 These customizable templates feature clean layouts, fun typography, and a variety of visual styles for all kinds of pinnable content. Click here to browse the Pinterest Templates on Creative Market. It’s not enough to just go the traditional marketing route in today’s generation. Instead, you will need the perfect social media template so that your business can trend the right way in the online world. It’s as easy as finding the right template to fit your brand. Okay, I lied, the final step is actually following up on your PInterest Pin Design templates according to your anayltics. Which pins are getting the most clicks and the most saves? If you notice one or more of your designs outperforms the others, then it’s a good idea to switch out the underperforming pin designs to try something else. WANT MORE PINTEREST POINTERS AND BUSINESS TIPS? 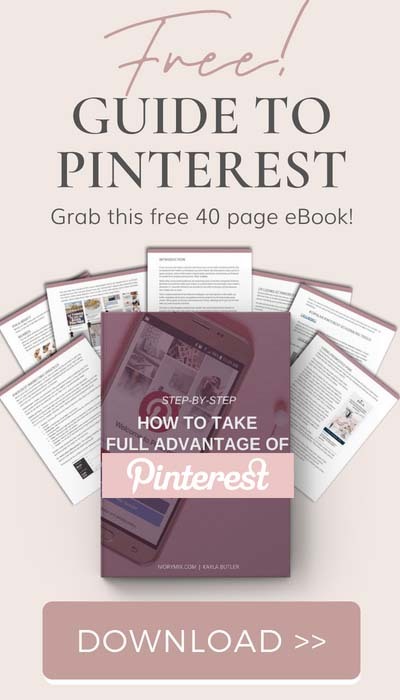 Click here to grab a free copy of this complete guide to Pinterest Marketing. Wow. Mind Blown. What a super helpful blog post. Thanks! I think I have a newbie questions though-if I am pinning a pin to my board once a day for 30 days, aren’t my boards going to get clogged up with the same pins over and over? The hope is that every month you will create at least one or a few more blog posts to repeat this on. It’s okay to repeat pins on a board it’s just better if they are not back to back and that there is useful and relevant pins when a user goes to your board. As a rule of thumb I dont repeat the same pin on a board within a 30 day period but I have hundreds of articles. I also change pin descriptions up when I repin the same pin to a board. This tutorial is a great place to start though. Thank you so much. Always glad to help! Wow, this is a brilliant idea! 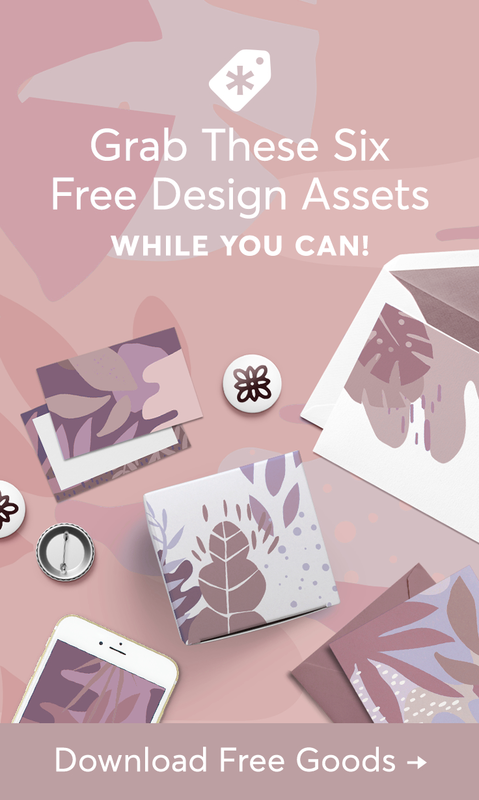 I’m amazed by a number of resources to get images for pin designs, and templates. I am doing something similar, but just not being consistent so will definitely follow this. Thanks Kayla-I can fine tune what I am doing with the help of this great post. Oh wow Kayla! Totally didn’t know this!!! But thanks oh so much for this idea, I’ll be more active on Pinterest now. Time to work with my photoshopping skills. If I had just started thinking about this branding the pins and want to renew and create pins from old posts, should I be deleting the old versions of the pins?